Don’t look like a basketball these holidays. If there’s one thing that can take your look to the next level instantly, it’s a faux tan. A good fake tan can cheat the look of longer, leaner limbs and give you a healthy glow, even when you’ve spent the last week binging on take-out and Oreo Churros (yes, they’re a thing). 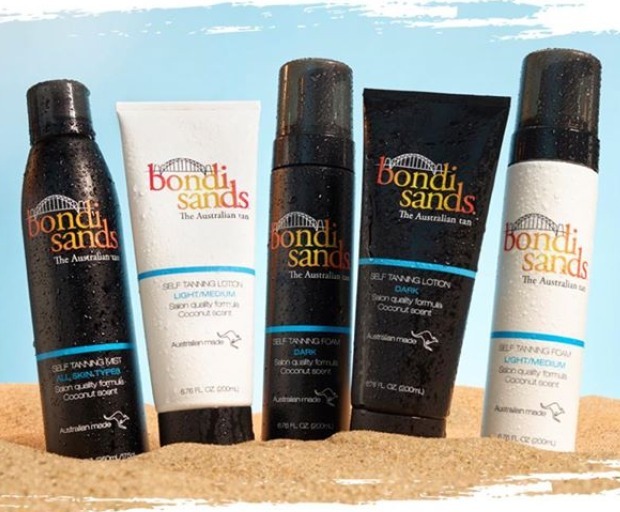 But finding a tanning product that doesn’t leave you looking like a basketball can be a decidedly difficult affair. 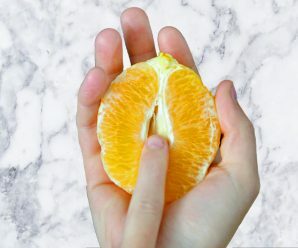 Add to that the fact that one girl’s golden glow can be another’s orange-hued hell and the sheer volume of faux tans now available, and it’s enough to make you swear yourself to a life of paleness. 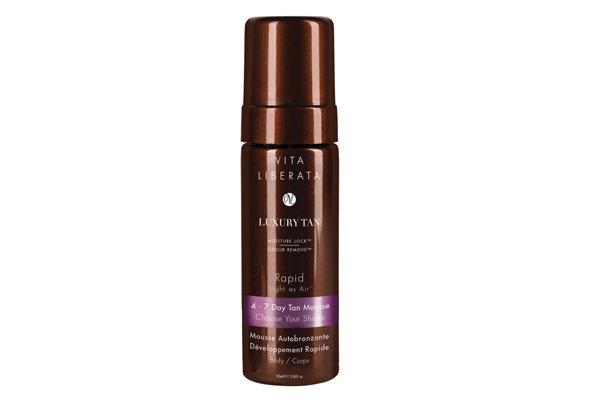 The 411: LDN has been my go-to spray tan for years now and is a fave among beauty editors thanks to its realistic ‘I’ve just been to the Bahamas’ bronze finish and quick-drying, non-sticky formula. All LDN products are made with organic ingredients, so they’re safe for use during pregnancy, and the formula contains a color guide, so you can see exactly where you’ve applied it. This tan looks best when you’ve given it six hours to develop, but can be washed off in as little as three hours. Best of all, it comes in three tones designed to look seamless on porcelain through to olive skin types. The 411: St.Tropez has been used by celebs since the dawn of fake tanning for good reason: it delivers a beautiful, bronze glow quickly and applies effortlessly for a streak-free finish. This formula also develops in a head-spinning single hour (nope, you didn’t read that wrong. It’s literally ready to wash off and go in 60 minutes) so it’s the ideal option when you’re in a rush. It really is gold in a bottle. The 411: If you have a rep for applying fake tan like it’s going out of style, and your motto is, ‘The darker, the better’, discovering Loving Tan’s Express Dark mousse will be like being the first kid to get to the tree on Christmas morning. With a cult following and endorsements by some of the world’s biggest beauty bloggers, this stuff lives up to its reputation, and then some. Prepare to go from pale to positively chocolatey in just two hours, with a deep bronze hue that’s impressively realistic, this baby is my top choice when I want to look like I just spent several months sunbathing in the Maldives. 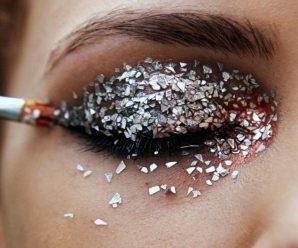 The 411: We’ve all had that moment where we’re just about ready to run out the door for an event, only to do a last minute mirror check and discover our frighteningly white pins are throwing our mini skirt game off. During those times, I reach for this product. It is, in short, a lifesaver. 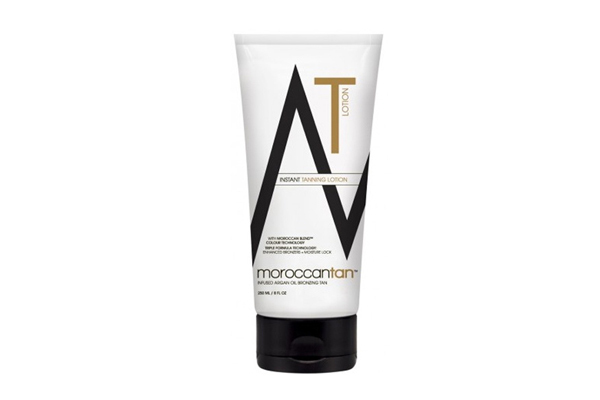 MoroccanTan’s Instant Tanning Lotion delivers a bronze glow instantly (and by instantly, I literally mean immediately), so you can slather it on your limbs with just seconds to spare before you rush off, then continues to develop as the night goes on, and because it’s formulated using a green base, there’s not a hint of orange in sight, leaving you with a Bahamas-worthy glow. The 411: If you have the kind of truly porcelain skin known to reflect moonbeams then this is the ultimate tanner for you. 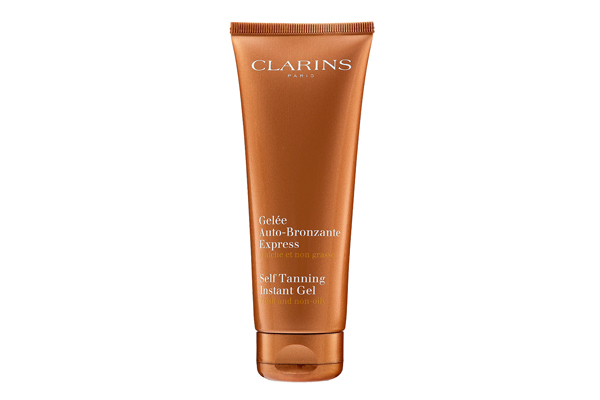 Clarins Self Tanning Instant Gel is quite simply, the best tan on the market for women convinced they are too pale to fake tan. It’ll give even the most ghostly white of complexions a beautifully natural, subtle honey hue without a hint of orange in sight. Better still, thanks to its gel consistency, it’s super easy to apply without giving a streaky finish. The 411: Like LDN : SKINS, Vita Liberata products are all free from parabens, sulfates and phthalates, so this mousse is great for sensitive skin types. I particularly heart this product because it can be washed off in just a couple of hours and still manages to develop a deep, bronze tan. The mousse formula is also a winner as it’s easy to apply without getting streaky and is one of the lowest odor tans I’ve used to date, so great for anyone who’s sworn off fake tanning due to the inevitable whiffiness. Comment: Have you tried any of these products? 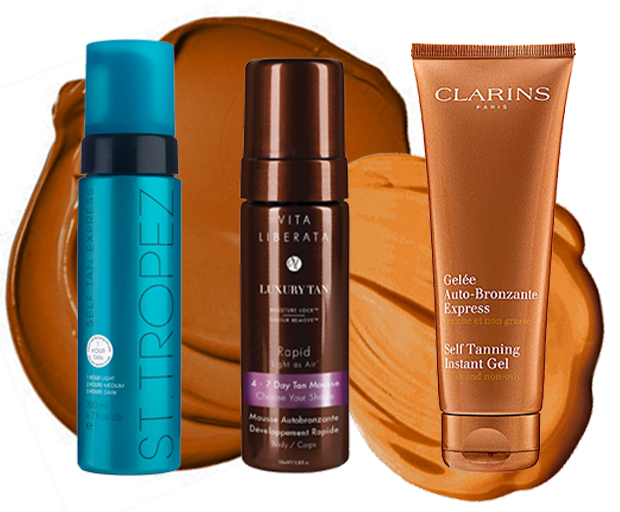 What fake tan do you swear by?